Why should I worry about cybersecurity? Right now, the IT industry is at a critical point: new vulnerabilities and associated cyber threats are discovered daily and cybersecurity incidents are on the rise, but there is an incredibly large, and growing, shortage of a skilled cybersecurity workforce. By 2021, it is predicted that there will be upwards of 3.5 unfilled cybersecurity jobs, which is more than 3 times the number of unfilled jobs today. And at a time when the skills shortage is increasing, the threat of a cyber attack and the cost that an organization will incur from an attack is increasing as well. So, why should you worry about cybersecurity? Well, you can’t afford not to. 80% of security leaders believe that their organization will experience a cyber attack within the next year. Only 38% of organizations feel they are prepared to handle an attack. 99% of computers utilize software programs that are rife with vulnerabilities targeted by today’s cyber criminals, leaving end-users at risk. By 2020, the average cost of a cybersecurity incident will be more than $150 million. By 2021, the cost of damage caused by cyber crimes will reach $6 trillion annually. Why should I care about cybersecurity certifications? Certifications provide a way to validate specific professionals competencies in both a current and an ongoing basis, which is more important in an industry that is constantly evolving. In almost every case, a cybersecurity certification exists to address a skills gap. It has been designed to evaluate a very specific set of knowledge, skills, and abilities required of an individual in a specific job function or performing specific tasks. Typically, it requires ongoing continuing education or recertification to ensure continued competence in the subject areas. Often, it also maps to specific industry standards, validating that it meets the stringent requirements of an organization or overseeing body. From both an employer and employee perspective, certifications can be expensive and time consuming. And yet, when surveyed, both cite numerous reasons for why certifications matter. By requiring a certification, an employer can validate that an employee has the knowledge and skills necessary to perform their job duties. They can reap the benefits of the increased job performance, organizational efficiencies, and collective expertise that tend to accompany certifications. By holding a certification, an individual can continuously improve and build upon their competencies, provide proof of these competencies, and command higher salaries. Together, they can identify career pathways and place the right people in the right job functions to support ongoing talent progression. Why should I take CertNexus cybersecurity certifications? CertNexus develops its certifications to meet the most robust, rigorous development standards possible. Many of our exams follow a development process that conforms to the American National Standards Institute (ANSI)/International Organization for Standardization (ISO) 170204:2012 standard, which outlines a global framework for developing personnel certification programs. If a certification is not ANSI accredited, it still follows the same rigorous process, but that one that is slightly more streamlined. In all cases, CertNexus partners with highly knowledgeable and talented industry experts during development to ensure the integrity and quality of each exam. CyberSec First Responder™ (CFR) is an ANSI-accredited exam designed for individuals working in a computing environment as part of a CERT/CSIRT/SOC who protect critical systems before, during, or after a cybersecurity incident. By successfully passing the CFR exam, candidates will become a certified CyberSec First Responder™, validating that they have the foundational knowledge and skills to respond to an ever-changing threat landscape. 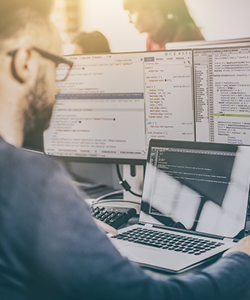 Cyber Secure Coder (CSC) is designed for software developers, testers, and architects who develop applications for business and organizational use that need to be highly secure, regardless of which programming language or platform they are using. By successfully passing the CSC exam, candidates will become a certified Cyber Secure Coder, validating that they have the foundational knowledge and skills to develop applications that are inherently secure against common threats.